The US embassy in the Haitian capital of Port-au-Prince warned American tourists to "shelter in place" as violent demonstrations erupted across the island over a fuel price hike. The State Department notice reads: "Do not travel to the airport unless you confirmed your flight is departing," adding "Flights are cancelled today and the airport has limited food and water available. Telecommunications services, including Internet and phone lines, have been affected throughout Haiti. It may be difficult to reach people through normal communication methods." "We express our deepest condolences to all those affected by this event. We are closely monitoring the situation and remain in close contact with Haitian authorities to verify the welfare and whereabouts of U.S. citizens in the area." 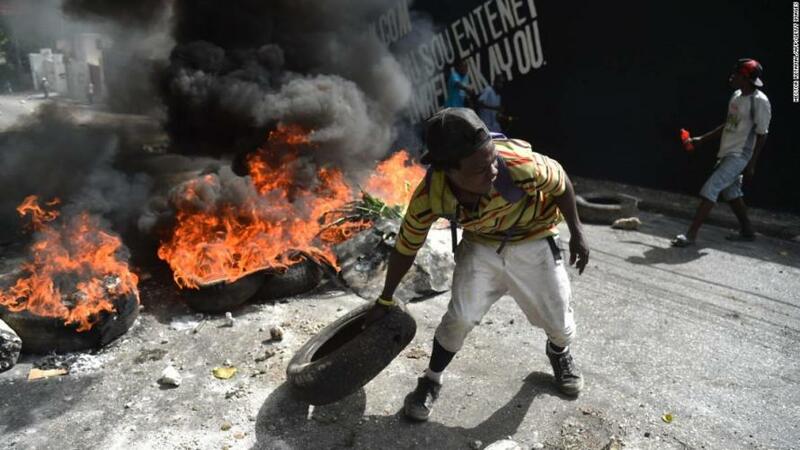 The Haitian government halted a planned fuel price hike on Saturday after riots broke out late last week. Haiti Prime Minister Jack Guy Lafontant had previously announced a 38% increase in gasoline, diesel and kerosine prices in order to balance the budget.